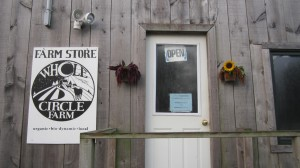 Hello friends of Whole Circle Farm! Over the past few months, the landowners have been going through the steps to put the farm up for sale. There’ve been appraisals and surveys and viewings and the like. We had mixed feelings about the whole thing – on the one hand, we trust the right path will always open up for us but, on the other, we are deeply attached to this land, so there was also a lot of sadness. Then, to our great joy, some good friends of Whole Circle Farm decided to take action. A committee of former employees, CSA members and friends was formed. This committee is working on fundraising and organizing to purchase the farm from the landowners, to keep the land in small-scale, ecological agriculture. Currently, there are several models being considered – co-ops, condos, land trusts, and more. There’s lots to consider and the timeline is tight and, though our future is uncertain, we feel hopeful. We are so grateful for the work of this group. Our greatest desire would be for this land to be farmed ecologically into perpetuity. And, this group is working on just that. If you (or anyone you know!) 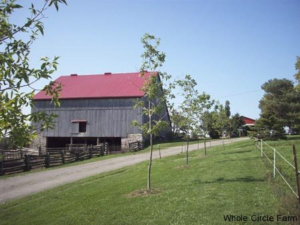 are interested in preserving farmland, have a special connection to this land, have any interest in weighing in on the options or putting a bit of effort into this cause, please send an email to Ali English (ali@efao.ca). Thanks for reading and we hope to see you in the Farm Store soon! 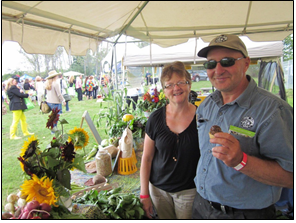 Please continue to support local farms and enjoy your veggies!